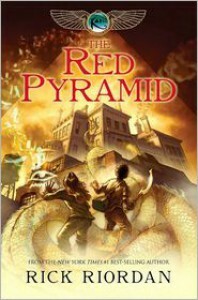 Unfortunately, I can't read this without comparing it to the Percy Jackson series by the same author. I did like it, but I've never been as into Egyptian mythology as Greek. The series follows Carter and Sadie Kane. They are siblings raised apart after their mother's death, Carter with their dad and Sadie with the maternal grandparents. Their father is an Egyptologist and takes them to the British Museum of History. He also accidentally releases five gods on the world, one of which captures him and then implements a plan to destroy the world. The siblings have to learn fast about their family history, abilities, and Egyptian mythology if they want to save the world and their father.